...and cut a bit of thick cardboard (like from a box) into a Christmas tree shape. I folded the paper up (to save on cutting out all the hands one by one) and cut out the hand prints. 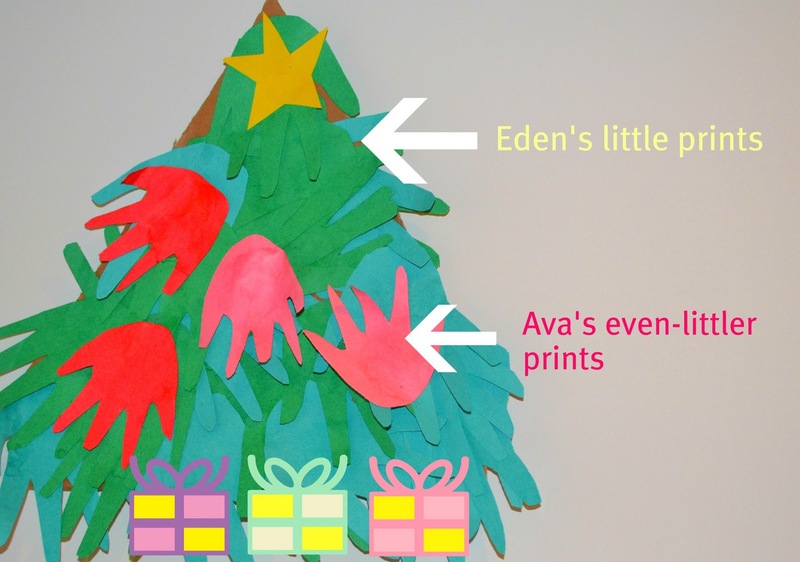 Eden glued her green handprints onto the cardboard to make the tree. Then we added the pink and red handprints (Ava's) as baubles. Top it off with a star (sorry about the shoddy job on the star - it was all my fault), and your tot has their own mini tree. If your child is older, this could also be a great cutting exercise; Eden is not yet confident with scissors so I did all our cutting out. We'll be adding some pom poms and tinsel offcuts to our tree another day, but until then, I'm pretty happy with it! Excellent idea for an activity, i am going on the hunt now to see if i can find coloured paper, i know its around and the kids and I are going to do this after their nap. Thanks for the ideas laura keep them on comming. Thanks Kim! 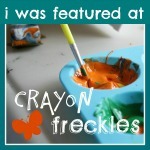 I hope your kids enjoy it as much as mine did!